20,000 SF of light industria;l space in the Whispering Pines Business Park. Light industrial use – Manufacturer of metal windows and doors. Long=term full building lease of brand new facility with 4 roll-up doors. Exclusively represented tenant who qas considering relocation to Auburn. Stay on top of the market. 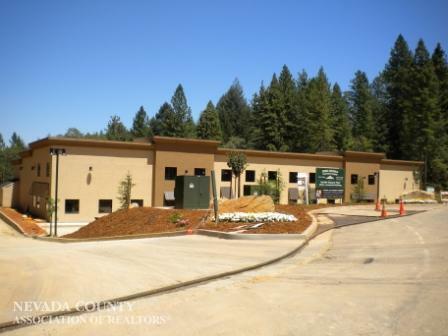 Get breaking news and data for the Nevada County commercial real estate market as soon as it's published. These FREE quarterly reports detail local commercial lease rates, vacancies, sales prices & volume, recent transactions and more! Join the growing community of investors and property owners who subscribe to Market Insight to get Lock Richards' take on local, regional and national market news and commentary delivered straight to their inboxes. Commercial Property Review is our free, quarterly report on commercial real estate activity in the Grass Valley & Nevada City region. Get each new edition of CPR as soon as it's released by subscribing right now. © 2019 Highland Commercial. Each Office Independently Owned and Operated.